– The Gifted Pan prosphora baking dish. For the would-be ecclesiastical baker who feels stymied by handheld seals that seem to have never been applied five minutes after what seems like pressing down with all your might. – Scapple. 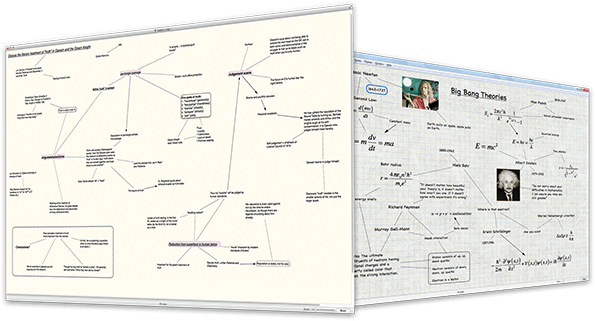 If you’re a Scrivener user, this is an excellent companion application that basically allows you to doodle your ideas without having to go quite to the intellectually self-conscious extreme of “mind-mapping”. – Turning to Tradition: Converts and the Making of an American Orthodox Church by Fr. Dellas Oliver Herbel (Oxford University Press, 2013). I reviewed the book here; in short, it’s a great book for anybody interested in North American religious trends or Orthodox Christianity in the United States, with a lot to digest in a very reasonable length. – Stocking stuffer 3-pack of CDs: Cappella Romana‘s Tikey Zes: The Divine Liturgy of St. John Chrysostom (reviewed here) and Robert Kyr — A Time for Life: An Environmental Oratorio (reviewed here), with Archangel Voices‘ Panagia: Orthodox Hymns to the Mother of God (reviewed here). Three very different kinds of recordings of what one might broadly call “Orthodox music”, and each very good in its own way. The Kyr is an oratorio informed by Orthodox liturgy; the Zes is an Orthodox liturgy that at times feels like an oratorio; and Panagia is a themed recital of Orthodox choral music about the Virgin Mary. What’s funny is that the Zes disc is sung entirely in Greek but often seems quite Italian; Panagia is all in English but feels quite Russian. What can you do (or, if you like, Τι να κάνουμε)? – Sweet Song: A Story of Saint Romanos the Melodist by Jane G. Meyer (reviewed here). A beautifully-illustrated (and not distractingly anachronistic) children’s book set in sixth-century Constantinople during an episode in the saint’s life. If you’ve got a young reader who’s interested in singing in church or who has started to develop an early fascination with Byzantine and hagiographic arcanity, this is the book you want. And, should you for some unknown reason be looking to give me a Christmas gift, well — you can certainly give something to the Saint John of Damascus Society, and it will definitely make me happy. 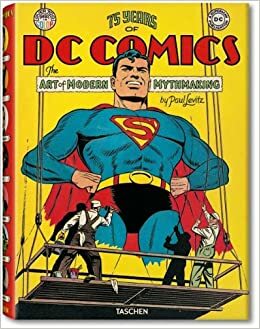 I also wouldn’t sneeze at 75 Years of DC Comics. And, hey, this blog has its own “Make a Donation” button. If those options don’t speak to you, well, there’s always this. Okay — may you all stay well the rest of the fast (and beyond, of course)!